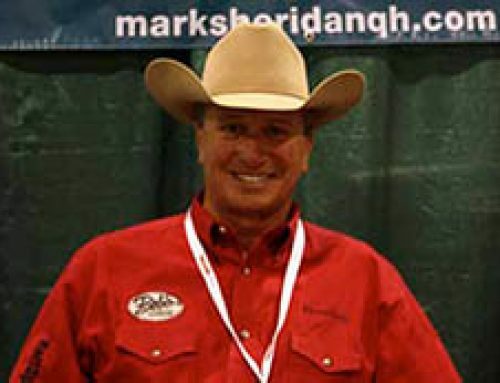 CRAWL BEFORE YOU WALK, WALK BEFORE YOU RUN - Mark Sheridan Quarter Horses, Inc. I have been thinking about how to approach this topic for years and have put much thought into thinking of ways to impress upon readers of the importance of graduating. When I talk about graduating, I am referring to the graduation process of learning and becoming the best rider that you can be. This includes the process of graduating from entry level classes into more competitive events where one can be competitive in any class when they arrive, and start competing in the event that they eventually have desired to show their horses in for years. I am writing this article, as all of my articles, from the perspective of being a trainer, coach, judge, and clinician. I provide many lessons to people of all talent levels, and I adjust the lessons to their abilities and experiences. 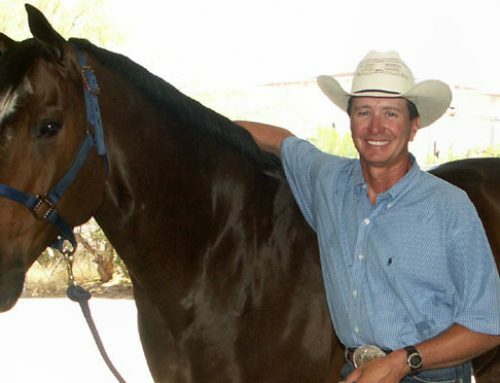 I truly enjoy educating people of all skill levels on how to improve on their horsemanship skills, from the first time rider, to people that have shown at the top level and want to learn all that there is to learn and to become the best that they can be. I challenge myself and all my clients and students to end every lesson so that they walk out of the arena and feel better about their skills, knowing that they rode to the best of their ability. I want my students to feel good about each ride, and to be inspired to get better the next time they saddle up. With this being said, I feel that every time that one takes a lesson, it must be a learning experience for the horse as well as the student. 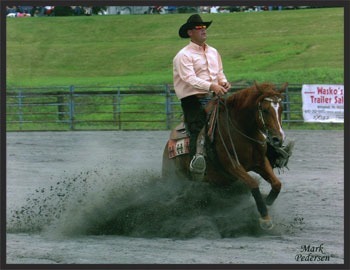 I feel that in learning to become a great rider, improving your horse with every ride is part of the equation. One must progress with every ride and not just go through the motions. 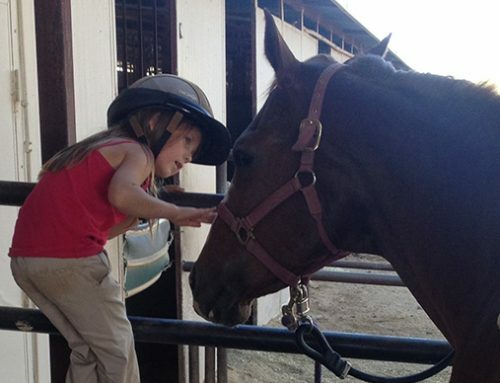 Taking lessons involves not only becoming a better rider, but learning how to train your horse at the same time. When I climb off of a horse, and I am walking him back to the barn, not only I am thinking about what both the horse and I learned today, but what I am going to teach him the next time I ride him. Here is where it all comes into play: When I am judging at a weekend show, and even sometimes at a major event, I see exhibitors that should have applied the graduation process: graduating from competitive Horsemanship classes to Reining and Working Cowhorse events, and graduating from English Equitation pattern events including Hunter Hack classes, to Working Hunter and Jumping classes. 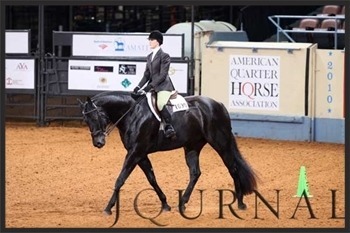 When I’m judging shows and scoring runs, I often observe exhibitors who seem to have skipped a few lessons sometime along the way; these riders have also missed hours upon hours of riding that is required to achieve at the level that they desire. When I see a reining exhibitor running circles on the wrong lead and not aware of it, and I see an exhibitor taking the wrong fences on the wrong lead, it is a perfect example of not graduating into their particular events. It is the responsibility of the trainers to teach them the basics of horsemanship, either English or Western. Without the basics, it is almost impossible to succeed at the level that you desire. With this being said, you can not rush learning. It comes naturally at a different pace for everyone. 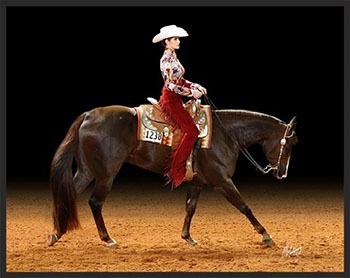 It does not matter if you go to the best Reining trainer, the best Hunter trainer, or the best Cowhorse trainer, if you did not learn the basics of horsemanship, you will struggle. Nothing will make up for time in the saddle and learning the foundation taught over time. I feel that in order to become the best one can be, that you must invest time in the saddle and treat it like a financial investment. Invest wisely and learn every time that you saddle up. I also feel that patience is of the utmost importance. Being patient, and graduating when the time is right will get you to the top. I have friends and acquaintances who are talented horseman and have won events such as the NRHA Futurity, the NRCHA Snaffle Bit Futurity, and the NCHA Cutting Horse Futurity. These are people who, at one time in their careers, showed horses in the Western Pleasure, Western Riding, Trail, and most of the all-around events. They had the basic knowledge of horsemanship that took them to the top levels of today’s competition. They never took shortcuts, and they achieved their level of superior success in the horse industry through the graduation process. If you want to succeed in the reining classes, you must be able to at least complete a horsemanship pattern successfully. 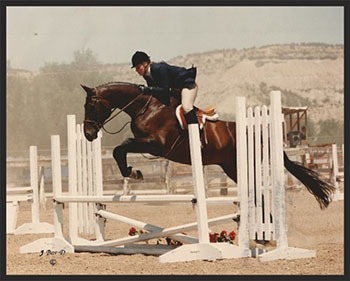 If you want to be a top Hunter rider, you must be able to at least complete an Equitation pattern successfully. It is also the responsibility of your trainer to get you to your destination through the graduation process and not just look at the financial return of a client trying to get where they want to be on a premature basis. 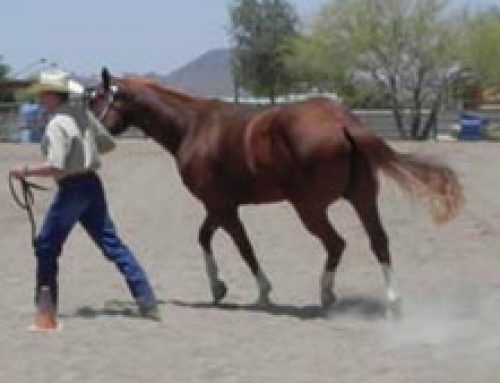 The basics of feeling leads, setting up shoulders for lead changes, controlling hips on turn arounds, not knowing your leads or diagonals without looking, not being able to read distance on your Hunter or Trail horse, and feeling the position of your horse under you can not be compromised by not graduating. I often watch western movies and television programs related to horses and note the horsemanship abilities of famous actors. Although a few of them ride well, I wonder why the majority of actors did not take riding lessons to improve their skills atop of a horse. Maybe this is due to the fact that the majority of the viewing public can not distinguish the difference between a good rider and a poor rider. I think that one of the most positive compliments that one can give to another rider is hearing that…”You ride very well.” Any horse trainer, amateur, youth, or person who shows their horse competitively in any event or discipline has to feel good about that compliment. In closing, handle your passion accordingly and challenge your instructor/trainer to teach you to be the best you can be. If you are showing competitively, make sure to review your judges score cards and make improvements in the area that lack high scores. As for myself, I am always trying to find new ways to refine my skills and be the best trainer and instructor that I can be. Always push yourself, but at the same time, be patient and allow for the graduation process to take place.